By Nuel Suji – President Muhammadu Buhari has ordered the National Emergency Management Agency (NEMA) to designate the impending flooding along the banks of river Niger and Benue as “national disaster,” just as he wants the military to be put on notice. 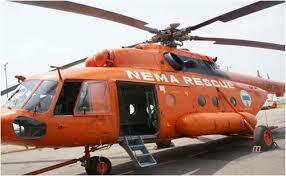 The president directed NEMA to activate the Disaster Response Units of the military for possible search and rescue missions to mitigate the damage from the flooding. Mr. Buhari’s order is contained in a directive to the Director General of NEMA, Mustapha Maihaja, to prepare for eventualities in event that anticipated flooding turns worse. The presidential directive to NEMA titled: “Situation Report on the River Flood Along the Banks of Rivers Benue and Niger,’’ was signed by the Chief of Staff to the President, Abba Kyari. The letter further directed Mr. Maihaja to provide regular updates to the president. Already, the flood has sacked some villages in Adamawa, Benue and Kogi states due to torrential rain in the early months of September. The Nigeria Hydrological Services Agency had warmed that Rivers Benue and Niger had almost reached levels that resulted in flooding in 2012, which led to loss of lives and destruction of property. Nigeria’s meteorological agency had also warned of possible large scale flooding especially in flood prone parts of the country.